In a nutshell, a cove is a usually circular or oval-shaped body of water partly enclosed by land with a narrow opening where its waters meet the ocean, lake or river. NatGeo defines cove as a "sheltered bay" as its characteristic deviates slightly from a bay which has a larger mouth. I just learned what a cove is and felt this urge to share that. 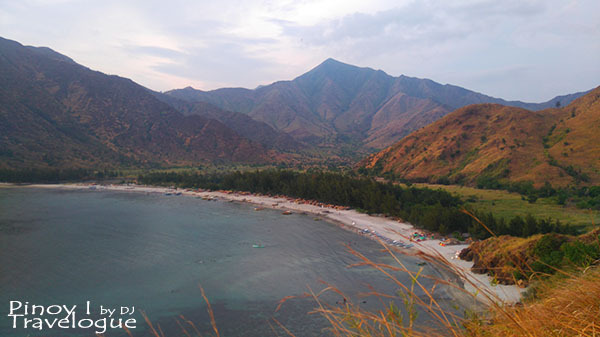 The town of San Antonio, Zambales prides itself with several coves extending from the West Philippine Sea. 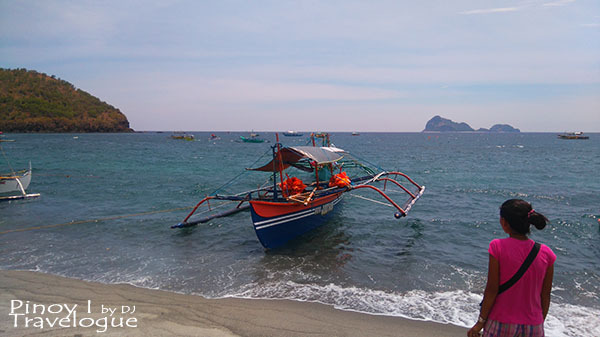 Anawangin Cove is perhaps the most famous among these known coves such that its fame gave way to the popularity of other coves — the equally idyllic yet larger and less touristy Nagasasa Cove for instance. Take the San Fernando exit of North Luzon Expressway (NLEX) and drive past the towns of Guagua and Lubao in Pampanga; Dinalupihan and Hermosa in Bataan; Olongapo, Subic, Castillejo, and San Marcelino in Zambales. Once you reach San Antonio town hall, drive straight ahead then turn left as soon as you see a small signboard pointing to Pundaquit beach. Or perhaps the fastest route is continuing on from NLEX to Subic-Clak-Tarlac Expressway (SCTEX) all the way to Subic Base Metropolitan Authority (SBMA). At SBMA, exit back to the national highway and drive past Subic, Castillejos, and San Marcelino. There's an array of pay parking spaces and boat operators in Pundaquit to choose from. Once you get a boat operator, they can direct you to a trusted parking lot. Parking fees, overnight: PHP 200 (light vehicle); PHP 400 (bus). Purchase all your camping needs at San Antonio market, e.g., food stocks and potable water for the entire stay. There are sari-sari stores at the cove that offer goods being sold at an atrocious price; it's more than double the SRP. Try to haggle on the rate imposed by the boat operator. They are kind enough to give you a discount especially if you're on a big group. Arrive early in the morning if you want a smooth sailing boat ride as the sea is calm at this time of the day. But if you're into braving the rough percussion of the waves, hop on the boat between 1PM to 2PM. Just wear your life vest for safety. Bon voyage! Expect a huge number of travelers on weekends of summer, but worry not as it doesn't get too crowded. Mobile signals are existent up to Pundaquit but non-existent once you reach the cove. Nearest ATMs are located in San Antonio town proper. 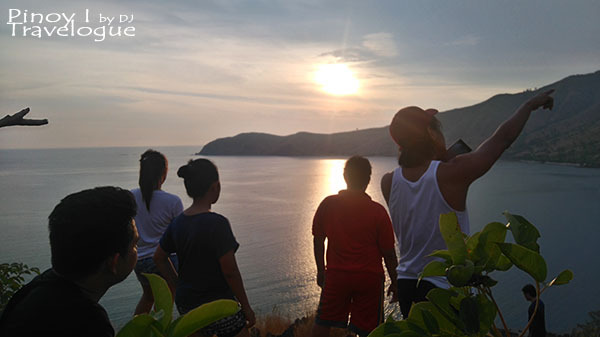 Trek up a hill around 5:30 PM and delight yourself with the beautiful sunset and a scenic view of the entire cove backdropped with its Toblerone-ic mountains. Have the store owners or some residents cook meals for you, just give them all the ingredients they need and enjoy the activities the cove has to offer. Cliff diving spot can be reached by boat. Ask the owners of the boats docked at the shore if you desire to take that leap of faith. Since the cove is fast becoming touristy, time may come that pesky flies will be camping with cove visitors. 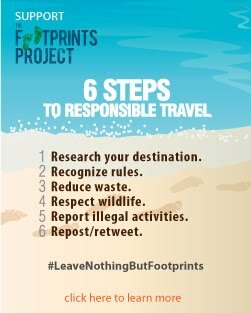 Do your share by picking up your own trash, not just burying them beneath the sands. Large garbage bins are all over the place after all. 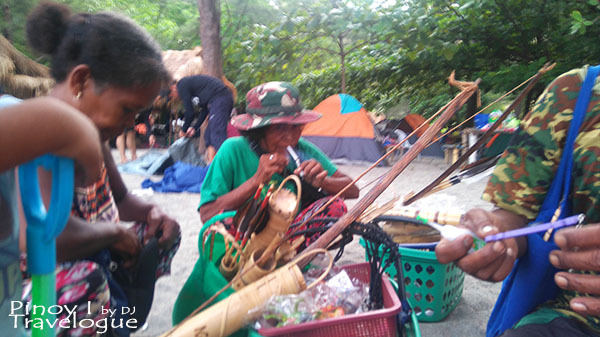 Bring home at least a single bamboo-made souvenir item hand-crafted and sold by our Aeta brothers. They do not reside in Nagsasa, some of them take a mere 5-hour walk from their settlement areas to reach the cove and sell their crafts. A crumb from your travel budget will be of great help to them whose means of living depend on the number of items sold per day. Prices of souvenirs range from PHP 30-700. Buses bound for Manila seldomly ply the roads of San Antonio town proper. Victory Liner bus terminal is located in Olongapo. Expect a not-so-fancy comfort rooms and other rustic facilities that camping entails. 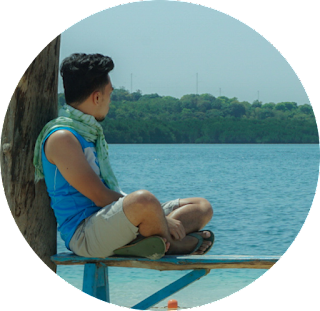 3:30 PM : Enjoy the beach, cliff dive, play beach volleyball, pagurin ang sarili! 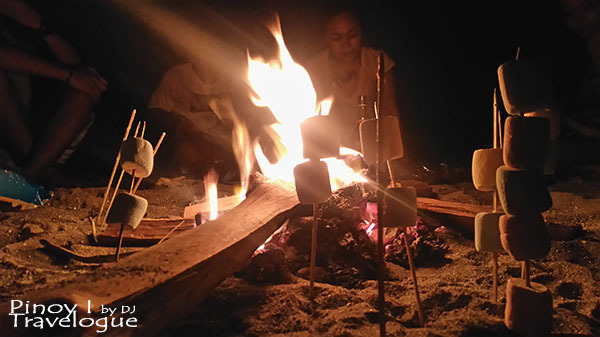 7:30 PM : Flame up the bonfire, sit down, share hilarious stories and go crazy just because! Sleep whenever you want.